Remodeling and decorating ideas and inspiration for designing your kitchen, bath, patio and more. 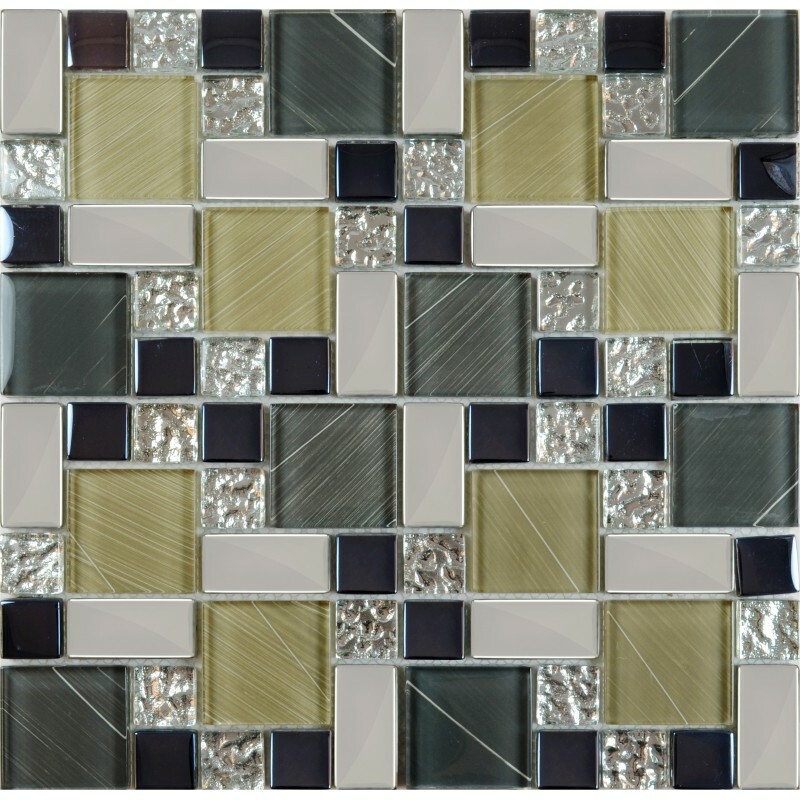 Browse glass mosaic tile options available from Hominter.com for bathroom, kitchen, shower and backsplash wall tile applications. All kinds of glass mosaic tiles for your home and commercial project. Glass tiles such as mesh mounted mosaics, field, and subway for kitchen backsplash, bathroom, swimming pool, featured wall and more. Collection: Glass Mosaic TilesMaterial: Glass, Stainless SteelColor: SilverSurface Finish: Glossy, easy for cleaning.Shape: Square and StripSheet Size: 300mmx300mmChip Size: 15mmx15mm, 15mmx48mm, 15mmx98mmThickness: 8mmApplication: bathrooms, spas, kitchen backsplash, wall facades and pools as well as a variety of other applications. Glass mosaic tiles which can be see through so it gets the name as "crystal", but with the color paints on the back of the mosaic tiles makes thousands of colors are possible. 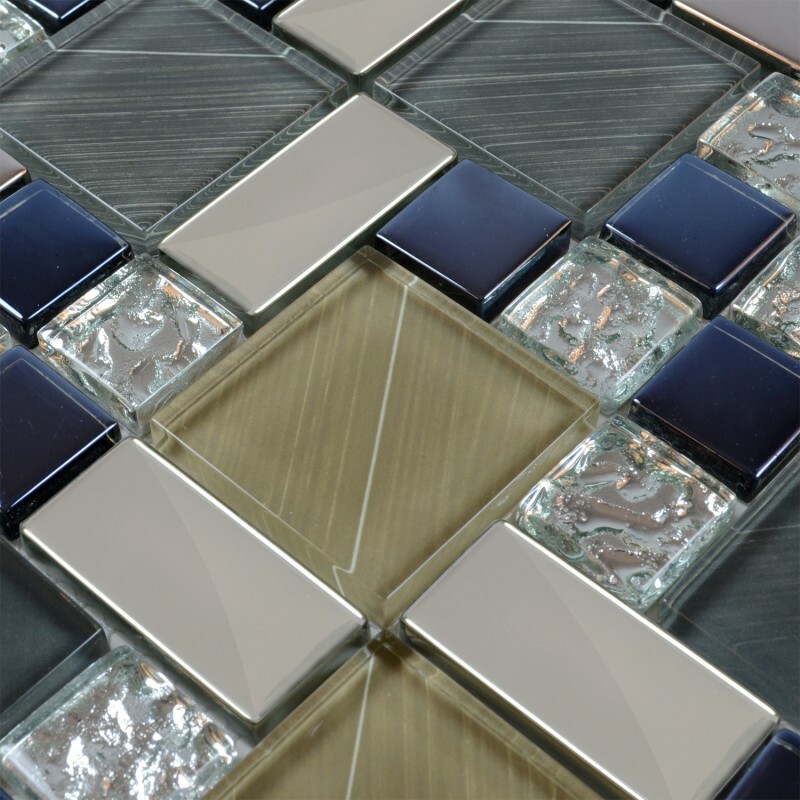 I LIKE BUY THIS GLASS DIAMOND TILE! Collection: Stone Glass Mosaic TilesMaterial: Stone and GlassColor: Blue and GreySurface Finish: Glossy, easy for cleaningShape: StripSheet Size: 315mmx303mmChip Size: 15mmx15mm,15mmx48mm,15mmx98mmThickness: 8mmType: MosaicApplication: bathrooms, spas, kitchen backsplash, wall facades and pools as well as a variety of other applications Stone and glass tile combine to form a union of style and function that will look beautiful in your kitchen as a backsplash and on your bathroom wall. Consider stone and glass backsplash options if you want a natural, modern look that matches the rest of your home.